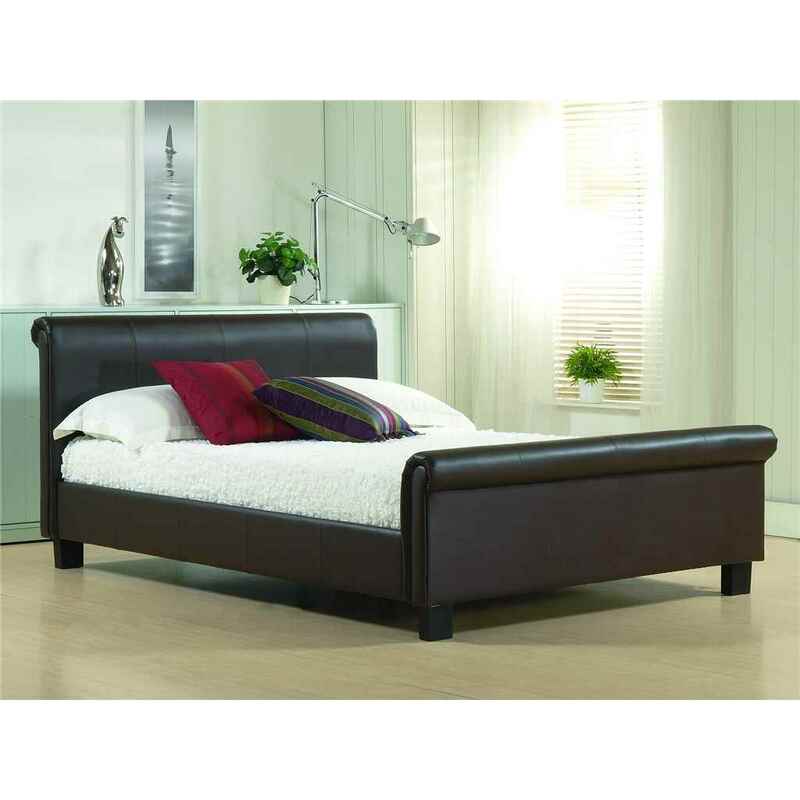 This Brown Faux Leather bed frame provides a stylish modern design and affordable luxury to any contemporary bedroom setting. The low sleigh style design has a sprung slatted base for extra comfort and to help maintain mattress condition. This Bed frame is also available in Black and in Single, Double, King, and Super King sizes.